Writing the Azure Interview question in the blog which will help interviewers to take an interview with real time Azure question and scenarios to find the right resources . It will help candidate to get an prepared those interview Q & A they might not ask by interviewers but it will help you to prepare for interview and find the answers there own which will help then to prepared the interview by Own. 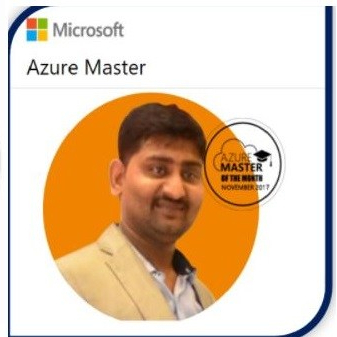 Certainly It will help to learn Azure and grow your self in Azure Technology. It’s been requested by couple of my Followers to help us with real time scenarios question and answers here thought to add in single blog and publish. What is storage and how many types of storage accounts ? What is the difference between Site to site & point to Site VPN? What is express route VPN ? Difference between S2S and Express rout VPN. How to migrate the web application to azure? how to migrate the SQL Dbs in azure and what are tools use to migrate the SQL Dbs.? How to create the web apps and how to migrate the web app to azure ? how TO create the VM in IaaS instance ? what is prerequisite of VM creation in Azure ? what is the prerequisite of Azure VPN or azure network creation ? How to migrate the On-Premises server/Vms to azure cloud ? Difference between site recovery & azure backup vault ? what is site recovery and what is the use? How to create the Site to site VPN/Point to site/Azure Express route ? How troubleshoot if the user is unable to connect to Azure Vms. What are the basic troubleshooting you do if you are unable to connect to take azure Vms RDP ? What is ADDS in azure? How to migrate the on-Premises ad to azure add or how to integrate on-Premises ad to azure ad? How to configure Remote App in azure? What is AD connect and what is the use ? What is Single Sign on and how we can configure in azure? How to configure the NLB? How to configure the availability Set in azure Vms ? What is market Place how we can use this? What is the difference between azure resource & Classic Group? How to provide the access to use in azure subscription ? Cannot connect to Vms using RDS or SSH ? We are unable to connect to azure Vms network ? How to add or delete the endpoint in Vms ? Vms is slow how do you troubleshoot ? How manage the express route? What is traffic manager how we can use it? How to configure the SSL Certificate in your Web Apps ? How to configure the customer domain Name for web apps ? How to create and delete the Web Apps? How to configure the IP to azure web Apps? in Azure SQL server time out issue is coming while connect to SQL ? How to configure the Azure backup ? How Configure the Azure backup Monitoring & reporting ? How to restore the Vms ? How to transfer the subscription ? How to add the new Subscription in Azure ? How to get the billing report form azure subscription ? How to configure the billing alert in azure ? How to Deploy the remote Web app or RDS in azure ? What are the migration you have performed ? How Many type of recovery service are there ? I didn’t see the answers! I am still preparing the answer for the same, i will update you on this soon. Sure I will update the same. Yes i am on it and update you on this.